Legal scholars discussed the future of textualism on the U.S. Supreme Court Friday, March 23, at The University of Alabama School of Law. The occasion was a symposium on Life After Scalia: Justice Gorsuch and Modern Textualism on the Supreme Court. The conference examined the form textualism may take on the Court and how Justice Gorsuch will influence the Court. 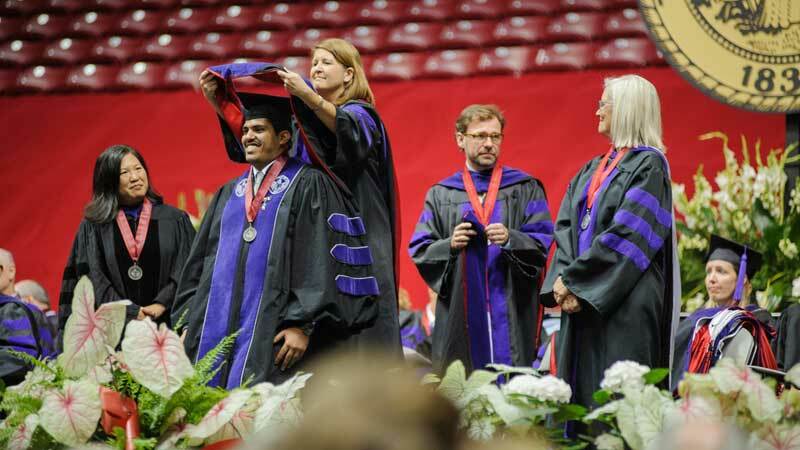 Alabama Law is excited to announce four new members of our faculty. Their arrival strengthens the academic offerings available to our students and increases the level of quality scholarship produced by our faculty. All four will arrive this summer, and teach their first courses to our students during the 2018-19 academic year. Deepa Das Acevedo studies employment regulation and new work models with a focus on the sharing economy. Her scholarship blends doctrinal analysis with ethnographic fieldwork among workers, worker-advocates, and policy-makers. Professor Das Acevedo currently teaches as a Sharswood Fellow at University of Pennsylvania Law School. Meghan Boone’s research interests include state regulation of the physical body, emerging trends in civil rights litigation, and issues of inclusion in the legal profession. Her current scholarship involves an examination of the ways in which laws addressing breastfeeding reinforce damaging stereotypes regarding the primacy of women’s maternal role. Professor Boone currently teaches at Wake Forest University School of Law. Casey Faucon’s current scholarship focuses on the structural and operational restrictions imposed on for-profit and non-profit entities, through which lawyers provide legal services in collaboration with or in practice with other professional service providers. Her work addresses how such structural and operational restrictions have created a grey and black market for providers of legal services. Professor Faucon currently teaches at the University of Denver College of Law. Ben McMichael’s research focuses on the ways in which the law influences the provision of health care in the United States. He has also examined the efficacy of state and federal reforms of punitive damages awards. Professor McMichael is currently a postdoctoral scholar at the Owen Graduate School of Management at Vanderbilt University. International attorney Owen Pell, partner at White & Case and the President of the Auschwitz Institute for Peace and Reconciliation, visited Alabama Law Tuesday, March 20, and discussed the critical role the legal community can play in promoting civil and institutional safeguards and access to justice for minority and diaspora communities. The Auschwitz Institute for Peace and Reconciliation is part of an emerging infrastructure that is helping foster civil societies that are free from fear and violence, Pell said. The institute trains administrators in how to identify the processes that lead to genocide and mass atrocities, how to interrupt those processes, and how to create a dedicated group of people whose sole purpose is to make sure genocide and mass atrocities are less likely to happen in their countries. “What we try to do is create a safe space for government bureaucrats to come talk about things they might not be able to talk about as freely at home,” Pell said. The event was sponsored by the Law School’s Office of Diversity & Inclusion, the Jewish Law Students Association, and OUTLaw. Caroline Page, Robert Pendley, and Margaret Reiney, all 3Ls, won the 26th Annual Duberstein Bankruptcy Moot Court Competition. The Duberstein Competition is the preeminent national bankruptcy moot court competition and one of the largest single-site appellate moot court competitions in the country. Teams from forty seven schools competed in this year’s event at St. John’s University School of Law. Page, Pendley, and Reiney demonstrated resolve and determination from the beginning of the competition weekend, when their flights to New York were cancelled Friday due to weather conditions in the northeast. The students rented a car and began a road trip to Washington, D.C., to catch a train to New York. When the trains were cancelled, the students soldiered on by driving to Manhattan, arriving at 3 a.m. on Saturday, the morning of the first preliminary round. The team made it through the preliminary rounds against teams from Emory University and Wayne State, proceeding to the octo-finals on Sunday afternoon. In the octo-finals, our team faced Suffolk University and UNLV, outscoring their opponents in each round to advance to the quarter finals. The quarter finals were held on Monday in Brooklyn at the United States Bankruptcy Court for the Eastern District of New York. 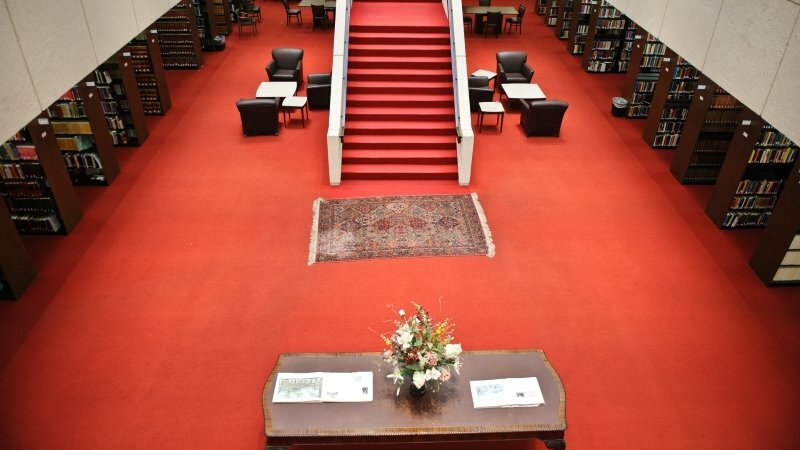 Alabama Law’s team defeated the University of Texas in this head-to-head elimination round. The semi-final round pitted UA against perennial contender SMU, whose team placed third and had Best Advocate in 2017 and won back-to-back national titles in 2015 and 2016. During this round, Page and Reiney turned in virtually flawless performances against SMU and earned the team an advance to the finals. In the finals, the team competed against George Washington University and faced an active bench comprised of a Circuit Court Judge and three prominent Bankruptcy Judges. During this round, Page and Pendley demonstrated remarkable acumen in parrying the barrage of questions from the bench, winning the championship round. The team’s performance would not have been possible without the contributions of Faculty Advisor and Professor Gary Sullivan (’96), Coach Mark Williams, (’84) Team Coordinator Kathryn Trent, 2L, and Bankruptcy Judge Jennifer Henderson (’04). Sitting and former U.S. Attorneys visited The University of Alabama School of Law Friday, March 2, and discussed the role lawyers play in government. The symposium, “The Role of Lawyers in Good Government,” was held in the McMillan Lecture Hall in Room 287 and consisted of three panels. It gave participants an opportunity to hear the views of lawyers from multiple presidential administrations and engage with them through questions and answers. First, sitting U.S. Attorneys explored their role as the chief federal law enforcement official in their respective districts. The guidelines governing the position are established by the presidential administration and the U.S. Attorney General, but the position comes with a fair amount of discretion, which allows U.S. Attorneys to deviate from internal policies. U.S. Attorneys prosecute federal criminal cases, including false claims, white collar crime, and healthcare fraud. 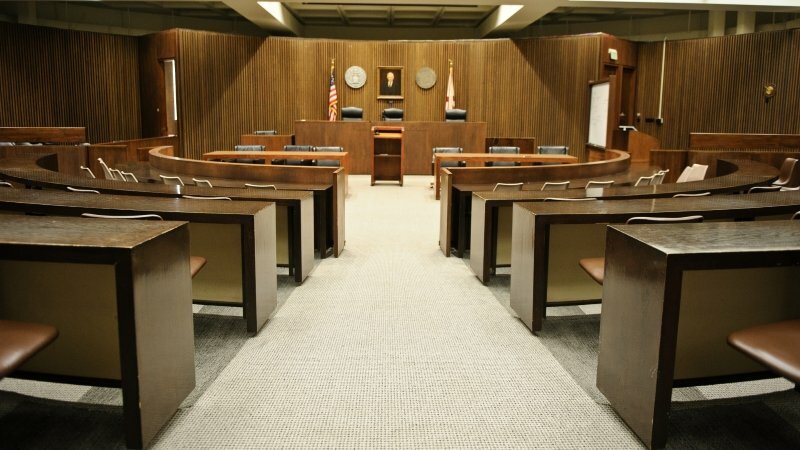 When exercising discretion in cases, they have robust discussions with other attorneys. The focus, said Richard W. Moore, U.S. Attorney for the Southern District of Alabama, is on truth and justice, not winning cases. Robert Dyar, Morgan Epperson, and J.T. Lewis, all 3Ls, performed well in the Robert F. Wagner National Labor and Employment Law Moot Court competition at New York Law School in Manhattan during the first weekend of Spring Break. They competed in six rounds of oral argument over two days against teams from across the country, including the University of Houston, Georgia State, and Seton Hall. They advanced through the initial rounds and made it to the semi-finals before losing to an excellent team from Southwestern, the eventual winner of the competition. The Alabama team was recognized for writing the Best Petitioner’s Brief and finished in third place overall in a field of 40 teams. The team members appreciate the support and guidance of Coach Roger Williams (’69). Professors Anita Kay Head, Cameron Fogle, Stan Murphy, Daiquiri Steele and team alumni Emily Vande Lune (’16 ) and Beth Howland (’17), of Bressler, Amery & Ross in Birmingham, provided helpful advice in practice rounds. 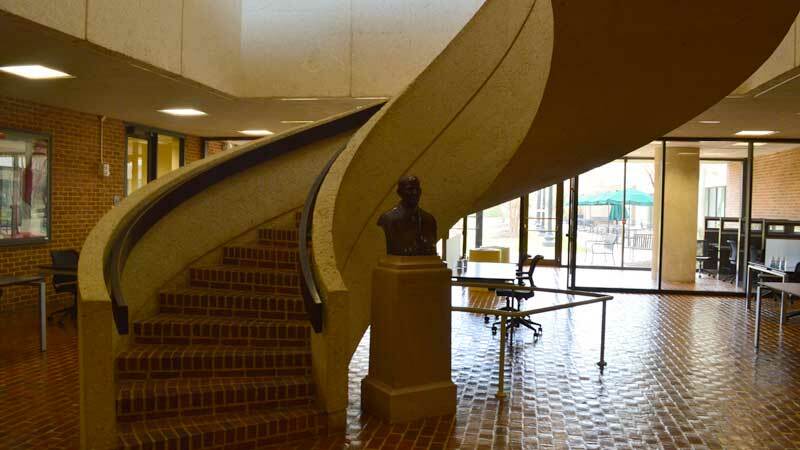 The University of Alabama School of Law is seeking stories from alumni about their time at the Law School, particularly stories involving Professor John C. “Blackjack” Payne. 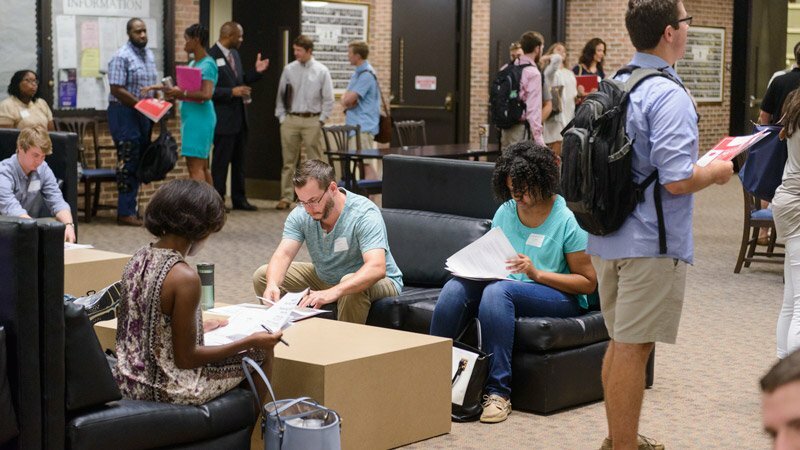 Please also submit written remembrances, videos or photos that could include stories about the Alabama Law experience, meaningful relationships with other students or faculty, and how Alabama Law contributed to accomplishments. Joel Caldwell (‘13) has joined Cory Watson Attorneys as an Associate. Clark Cooper (‘93) was named President and CEO of Bedzzz Express. Christy Crow (‘97) was named president-elect of the Alabama State Bar. She will serve as bar president in 2019-2020. Gregory S. Cusimano (‘68) published Winning Case Preparation, Understanding Jury Bias (Trial Guides). Brandon K. Essig (‘02) was appointed to serve on the 2017-2018 Alabama State Bar Cybersecurity Task Force. Sam Franklin (‘72) was named to Who’s Who Legal: Product Liability Defense for 2018. Nicole Bohannon Hampton (‘15) was named as one of the 40 under 40 Business Professionals by The Tuscaloosa News. Liz Huntley (‘97) was named a Fellow of the Birmingham Bar Association. Cason Kirby (‘12) was named one of the 40 under 40 Business Professionals by The Tuscaloosa News. Keith Lichtman (‘01) launched Bridgewater Resolution Group to address dispute resolution needs of high-net-worth families and closely-held businesses. Michael W. Rich (‘12) has joined Maynard Cooper and Gale’s Government Solutions Practice as an Associate in the firm’s Huntsville office. Nikki Tinker (‘98) was appointed a municipal judge by the Gadsden City Council. Ellenann B. Yelverton (‘02) has been named Vice President, General Counsel for Raycom Media. The Alabama Pattern Jury Instructions Committee Civil contributed $5,000 to the William C. Sullivan Scholarship. Laura L. Crum (‘82) donated $35,055 to The Crum Family Lecture Series, which will focus on themes related to law and business. 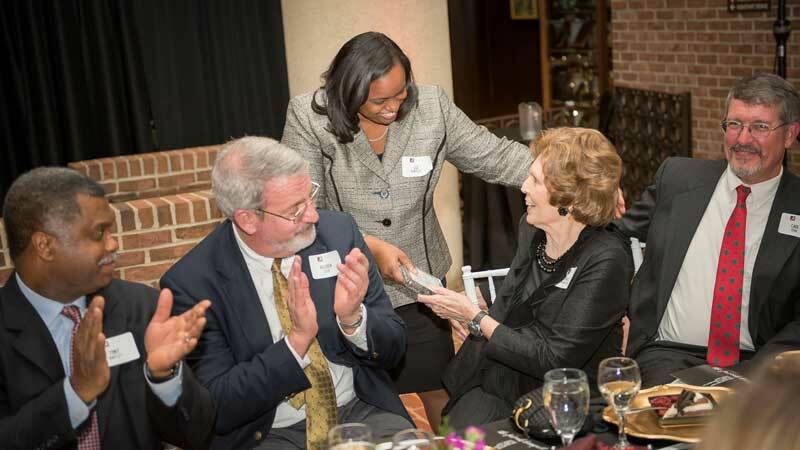 Joyce C. Hobbs contributed $8,500 to the Law School’s unrestricted fund and $1,000 to the Farrah Law Alumni Society through The Hobbs Foundation. The Miller Charitable Foundation and Nancy M. Melton donated $10,000 to The William D. Melton Endowed Scholarship. Wayne Wheeler (‘66) contributed $100,000 to the Judge Robert J. Wheeler Scholarship. Warren Wheeler (‘69) donated $5,483 to the Judge Robert J. Wheeler Scholarship. PROFESSOR BILL ANDREEN published a new chapter on “Alabama Water Law” in January in Volume 4 of Waters and Water Rights, AL-1 to AL-42 (Amy Kelley ed., 2018) (LexisNexis/Matthew Bender). Professor Andreen spoke about “Environmental Regulatory Programs and Federalism in a Shifting Environment” at the ABA Section of Environment, Energy, and Resources Symposium on Shifting Policies for a Shifting Environment, which was held at the University of Mississippi School of Law on March 8, 2018. PROFESSOR RICHARD DELGADO and PROFESSOR JEAN STEFANCIC were awarded month-long competitive residencies at a colony for writers and artists on the Olympic Peninsula to work on a book and a law review article. The Alabama Civil Rights & Civil Liberties Law Review published their response to an article by Alexander Brown, an English philosopher, on tort actions for hate speech. The Social Science Research Network (SSRN) reported that Professor Delgado is in the top 10% of the more than 330,000 authors in all-time downloads and also the top 10% for the last 12 months. His recent paper, “Four Ironies of Campus Climate,” made two separate Top-Ten download lists, and a second paper, “Nonconformity in American Law and Life: How Much Do We Really Value Diversity?” made another. VICE DEAN ALAN DURHAM’s “Lost Art and the Public Domain” has been published in the Arizona State Law Journal. The article discusses whether, in patent law, discoveries that failed to have a lasting impact on the advancement of technology should count as prior art against subsequent inventions. PROFESSOR HEATHER ELLIOTT spoke about southeastern surface water issues at a symposium sponsored by the ABA Section of Environment, Energy, and Resources on March 8 in Oxford, Mississippi. The panel, on Shifting Policies for a Shifting Environment, also included speakers on groundwater issues and endangered species law. Professor Elliott also spoke on March 23 at the symposium on Life After Scalia: Justice Gorsuch and Modern Textualism on the Supreme Court, sponsored by the Alabama Law Review. Along with Professor Kristin Hickman of the University of Minnesota School of Law, Professor Elliott discussed Justice Gorsuch’s likely effect on the jurisprudence of administrative law on the U.S. Supreme Court. PROFESSOR DAN JOYNER taught a one-week intensive course at the University of Manchester, in the UK, on International Nuclear Energy Law. The course focused on international legal sources regulating civilian nuclear energy production, and was taught to a group of students equally divided between nuclear engineering students and law students. PROFESSOR FRED VARS, with PROFESSOR ALBERT LOPEZ, had an article on advance directives accepted by the Iowa Law Review. Professor Vars, with Professor Ian Ayres of Yale Law School, had an op-ed published in The Los Angeles Times. Bills inspired by Professor Vars’s gun suicide work passed the Washington state legislature and legislative committees in Alabama and California.